Today, with the help of breathtaking wall murals, we’re going on a journey to the world’s greatest cities. 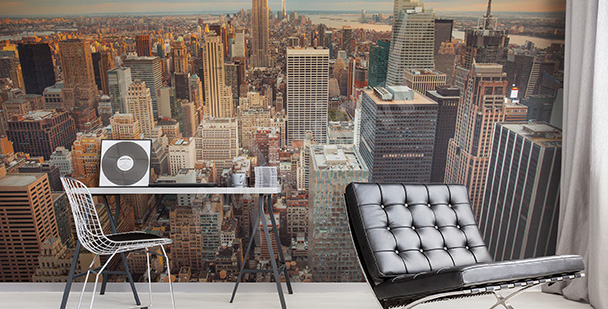 Wall murals metropolises – New York, London, Paris – these are all popular decorative motifs. However, in order to bring a little variety into our design, we’ll be visiting Beijing, Tokyo, and Shanghai in search of original views and skyscrapers. Some claim that all agglomerations look alike. 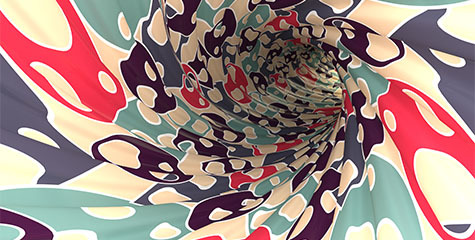 However, one glance at the prints in our collection is enough to see nothing could be further from the truth. 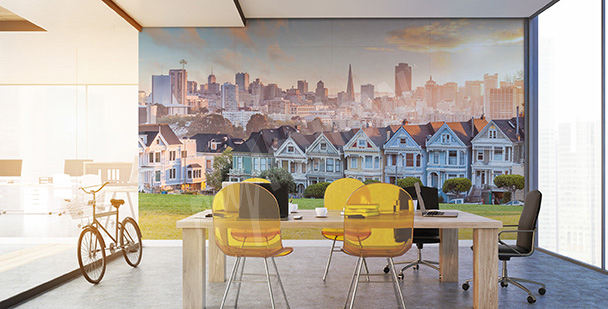 Our modern wall murals metropolises from both European and Asian countries form a wide array of cities that will provide completely distinct experiences. 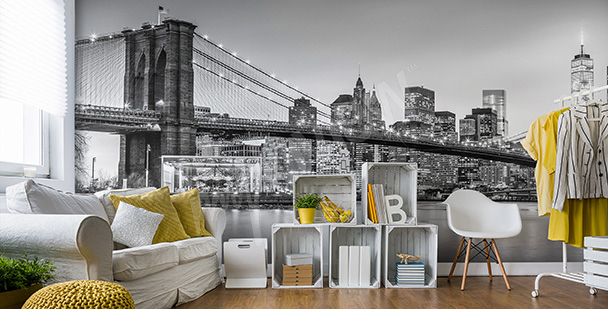 A black and white wall mural with a big-city theme is a perfect addition to any modern, four-cornered space. 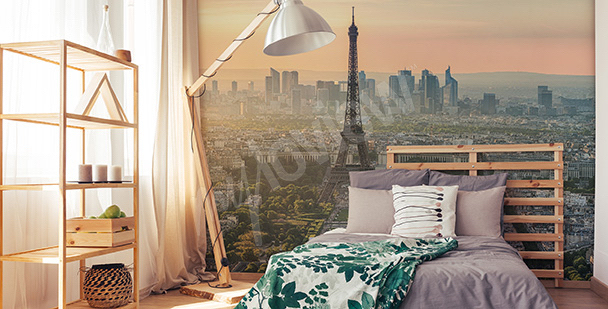 For Paris-lovers we’ve prepared a wall mural with the city’s panorama which will introduce a romantic mood to the bedroom. 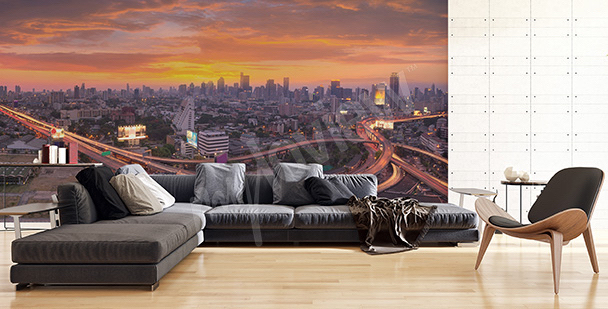 To highlight the big-city character of an interior definitely go with a wall mural with a big-city panorama. If you’re looking for a spectacular living room decoration, choose a metropolis theme. A wall mural like this will totally change your interior! A view of soaring high-rises will provide a pleasant aesthetic experience, and your interior will take on an Asian feel. Like that moment when the city awakens to life? Now you can make it last! Just get our wall mural! 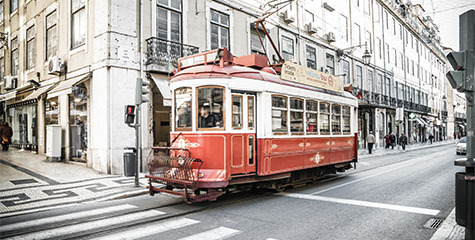 Fans of bustling cities can now bring a piece of one into their own home! 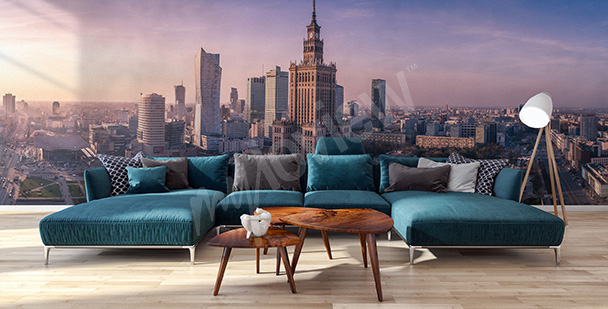 Residents of Warsaw will certainly be delighted by our print! It will bring them closer to the most beautiful places of the capital. A view of the metropolis will without a doubt hypnotize you with its charm! With a wall mural like this you won’t need any other wall decorations! 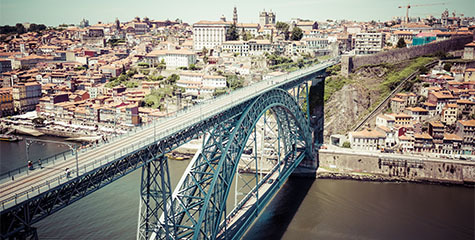 Large-format photography featuring a metropolis is tailor-made for modern interiors or those stylized in an industrial spirit. 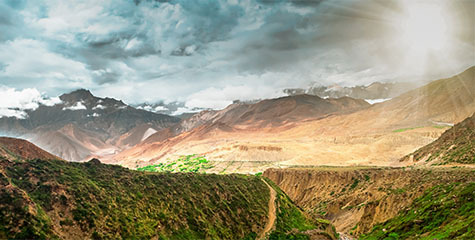 A wall mural like this combines interesting design with a breathtaking view. It will add charm to both the living room and office. Dreaming of an interior right out of a movie? Go with a print featuring a view of Alamo Square, which has been immortalized in countless film productions. 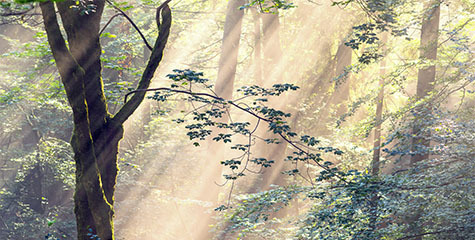 Interior design frequently requires us adjust to various forms of limitations. 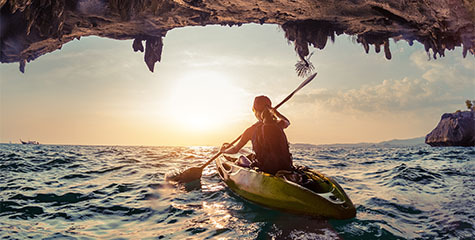 Most often, what complicates our free arrangement of space is the size of the living room we have. This does not mean, however, that our hands are tied and that we must passively surrender to these disadvantageous circumstances. What can we do? Well, we can opt for a remarkably practical and spacious wall mural. 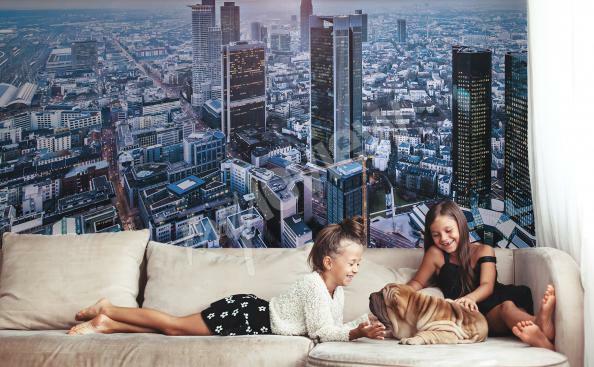 Wall murals big cities presented from a bird’s eye view will seemingly make your room bigger in the blink of an eye. This effect is similar to the one we can find when watching a film in a 3D cinema, yet in this case we don’t need any special glasses. A depth-simulating wall mural will visually increase your room’s square footage, thanks to which the interior will take on a completely different character. 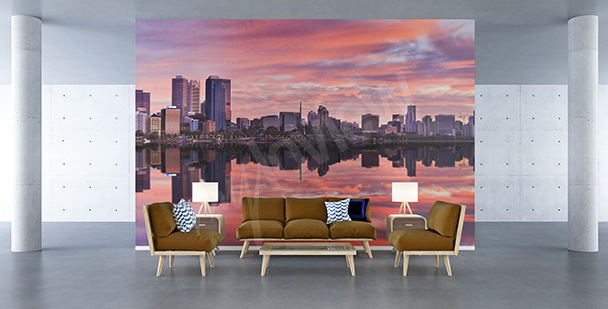 In order to strengthen the effect, it’s a good idea to choose a wall mural presenting a city located on water. The city’s reflection bouncing off the water’s smooth surface will help us create a truly spectacular space. Another option that is equally interesting? A frog’s eye view of glass skyscrapers, seen from below. Building peaks on a blue-sky background will be a surprising addition to the room’s décor. If we are dealing with a small living room, we should do our best not to block the wall decoration, since otherwise we will destroy the illusion of depth. What’s more, it wouldn’t make any sense for any other element to outshine this one! When we look at the same city during the day and at night, we see two completely different worlds. The grey, toned-down cityscape full of glass constructions turns into a panorama pulsing with color, one whose colorful lights pierce the navy-blue sky. This delightful metamorphosis resembling the story of Cinderella will serve as a splendid inspiration for a romantic approach to decorating the bedroom. Its main element will be an urban wall mural. 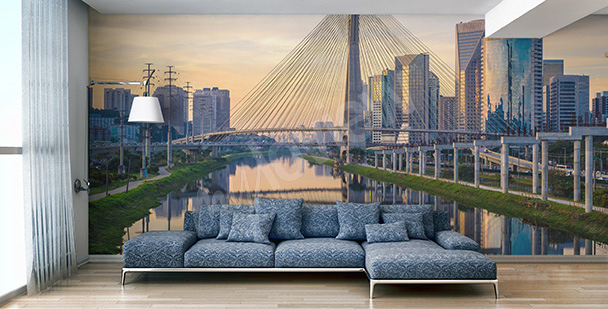 Wall murals capitals like London or Paris will certainly look great, but we would like to bring those cities of the Far East to your attention as well. Exactly what caught our eye? Those vibrant cities lit up with millions of colorful advertisements and neon signs: Shanghai, Hong Kong, and Tokyo. When viewing European capitals, it may seem that they are as bright at night as during the day, yet it is a visit to Asian agglomerations that will let us see cities in their fullest glow! For this reason, we need not fear that a night panorama will overwhelm our space or make it appear to dark. When opting for such a wall mural you can count on having colorful dreams! What kind of decoration will for sure look delightful in a young person’s room? 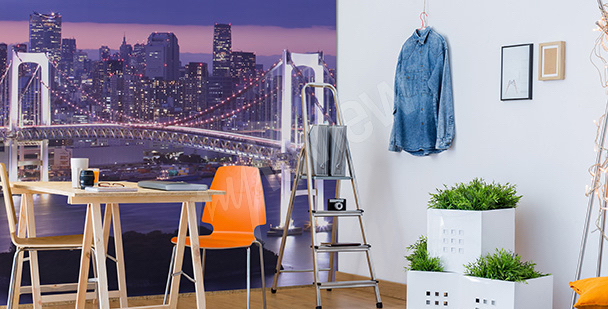 Wall murals metropolises will help you introduce a modern and stylish element that will appeal to even the most demanding teenagers. 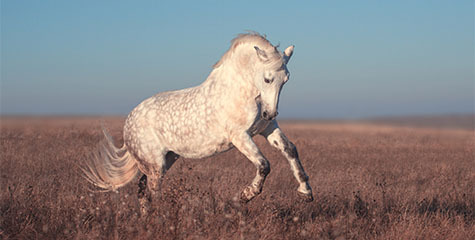 What kinds of prints enjoy the greatest popularity? New York, above all, with its characteristic Brooklyn Bridge connecting Manhattan and Brooklyn. If the room’s predominant color scheme is a vivid one, we can tone it down slightly with a black and white photo. In the opposite situation, if the interior needs a colorful accent, it’s best to opt for the splendor of a lit-up bridge and roundabout from Shanghai. 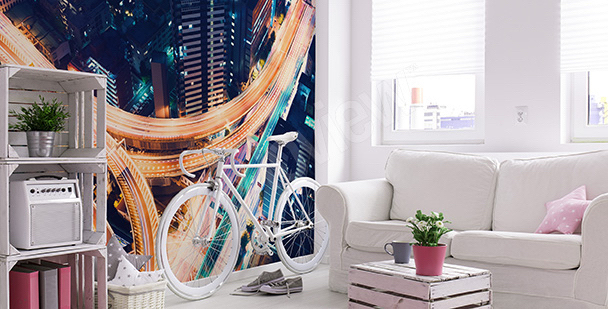 Wall murals made from long-exposure photographs will become breathtaking decorations. The intense colors and diffuse light will make the room more dynamic and give it a unique character. Office buildings don’t have to be grey, dull, and empty. 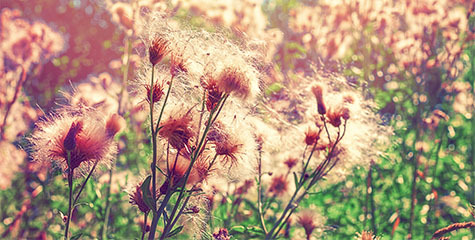 We’ve gotten used to interiors in which we can find only the bare necessities: a desk, chair, computer, wall-calendar, or some small flowers on the window sill. However, it needs to be remembered that the effectiveness of our work is the result of more than just inner motivation: the atmosphere of our office space as well as its appearance also play a role. Yet this does not mean that we must undertake spectacular renovation efforts to create a beautiful décor. What is needed? A wall mural. Big cities are truly an ideal decorative theme for the office. When looking for an appropriate print, it’s best to find inspiration in the city where our company is located. Maybe this happens to be Warsaw, Cracow, or Wrocław? We delight in London, New York, and Tokyo, while in Poland there are also so many beautiful, charming cities worthy of our appreciation!